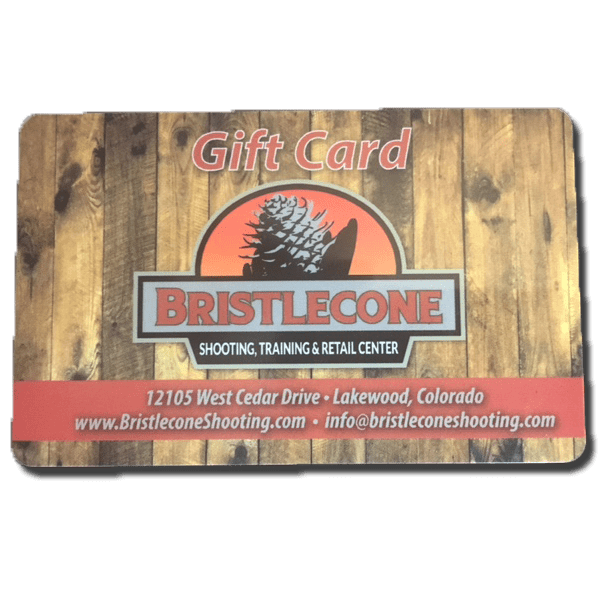 Give the perfect gift with a Bristlecone Shooting Range Gift Card! 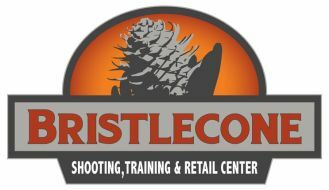 Whether it is for merchandise from our Pro Shop, time in our state of the art Shooting Range, a round on our Ti Outdoors virtual training simulator or one of our many different instructional Training Courses, a Gift Card from Bristlecone Shooting, Training & Retail Center will be a huge hit. Gift cards purchased online can be emailed upon purchase, or made ready for pick up in the store within 24 hours. We do not mail gift cards. You will be able to select your delivery method during check out. Gift Cards are redeemable for purchase only at Bristlecone Shooting, Training and Retail Center. Gift Cards are not returnable, redeemable for cash or applicable as payment to any account. Lost, stolen or damaged Gift Cards will not be canceled and replaced without required proof of purchase. Use of a Gift Card constitutes acceptance of these terms and conditions.